Cape May,, Exit 0 New Jersey is by far the Pet Friendliest place on earth. 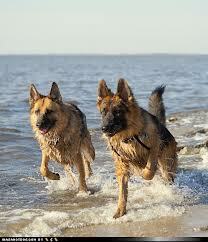 Did you know that north Cape May beaches are open to dogs all year long ?. Not to mention that the have the best sunsets around I have ever seen. Recently, the town has been talking about changing this due to the overwhelming amount of folks not picking up after their pets. Especially when there are doggie poo poo bag stations given out for free. How nice is that.. Another factor is that pet owners are not leashing their dogs. Two violations of city ordinance. Dogs off leash can prove to become a dangerous situation for everyone involved.. Dogs off leash can create a problem for other pets whom might not like a strange dog or dogs coming up to them.. Fights can arise and prove to have a unfavorable turnout. Some folks on the beach are afraid of dogs and it makes them uncomfortable, while walking or just sitting on the beach. . I know there is something about seeing your dog running around and splashing in the ocean or bays..It is a beautiful sight not to mention a great photo opportunity. Please stay with your pets and enjoy the Cape May Dogs. Be forewarned and lets be careful and considerate out there. This entry was posted in Blog, North Cape May, Trip Advisor and tagged Cape May's Best Pet Friendly Trip Advisor by admin. Bookmark the permalink.